A polypropylene absorbent mat for the collection of graffiti residues, façade cleaning and oil-containing liquids. 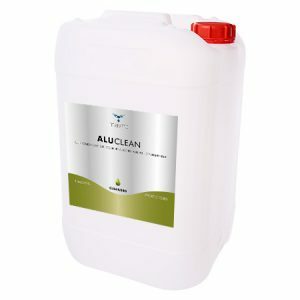 ALUCLEAN is a highly efficient acidic cleaning agent for use on all non-ferro metals like aluminium, brass, copper etc. 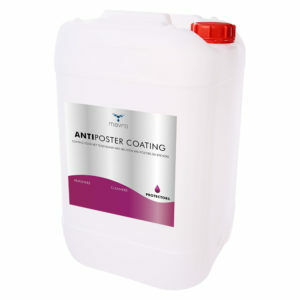 ANTIPOSTERCOATING is a 2K PU solvent-containing coating with anti-graffiti and reduced adhesion properties. 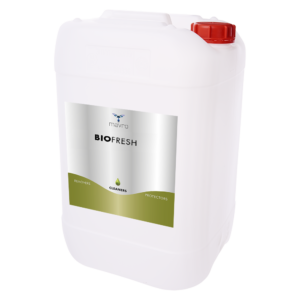 BIOFRESH is a highly efficient cleaner based on bio-active compounds realising an odour removing and preventing effect. A brush to process graffiti removers and cleaners. A powerful effective cleaner for NITOCOAT residue. Has degreasing, disinfecting and dissolving properties. Usable to clean spray equipment.